سواءً كنت مسافراً بغرض السياحة أو العمل, Coolum Beach Resort هو خيار عظيم للإقامة خلال زيارتك صن شاين كوست. يمكن من هنا للضيوف الاستمتاع بسهولة الوصول إلى كل ما تقدمه هذه المدينة النابضة بالحياة. يوفر الفندق بفضل موقعة الجيد وصولاً سهلاً إلى أهم معالم المدينة.
. يعمل Coolum Beach Resort على ضمان إقامة مريحة لضيوفه من خلال خدماته الممتازة وحسن ضيافته. يقدم الفندق فرصة للاستمتاع بشريحة واسعة من الخدمات بما فيها: واي فاي في المناطق العامة, صف السيارات, التوصيل من وإلى المطار, غرفة عائلية, مرافق للشواء . استمتع بوسائل الراحة الراقية في الغرف أثناء إقامتك هنا. بعض الغرف تتضمن اتصال لاسلكي بالإنترنت, غرف لغير المدخنين, مكيف هواء, تدفئة, شرفة/ تراس لمساعدتك على استعادة طاقتك بعد يوم طويل. إن ساونا, حمام سباحة خارجي, سبا, حديقة هو المكان الأمثل في الفندق للاسترخاء وتفريغ طاقتك بعد نهار طويل. 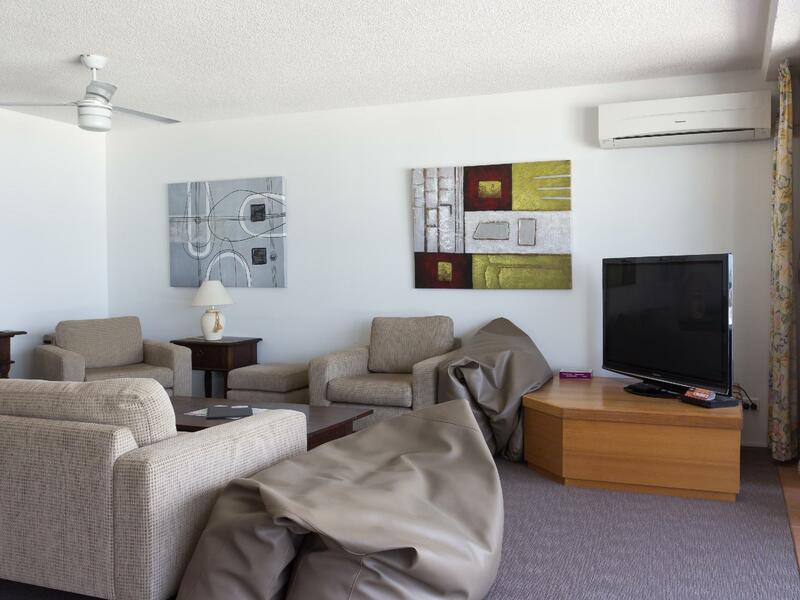 إن Coolum Beach Resort هو خيار ذكي بالنسبة للمسافرين إلى صن شاين كوست، بما يوفره من إقامة هادئة ومرحة. يُرجى العلم أن مكتب الاستقبال يكون مفتوحًا من الإثنين إلى الجمعة من الساعة 8.30 صباحًا إلى 4:00 مساءً، وفي يوم السبت من الساعة 8.30 صباحًا إلى الساعة 10.30 صباحًا. على النزلاء الذين يصلون خارج هذه الساعات أو يوم السبت أو الأحد الاتصال بالعقار مباشرةً بالاستعانة ببيانات الاتصال الموضحة في رسالة تأكيد الحجز. 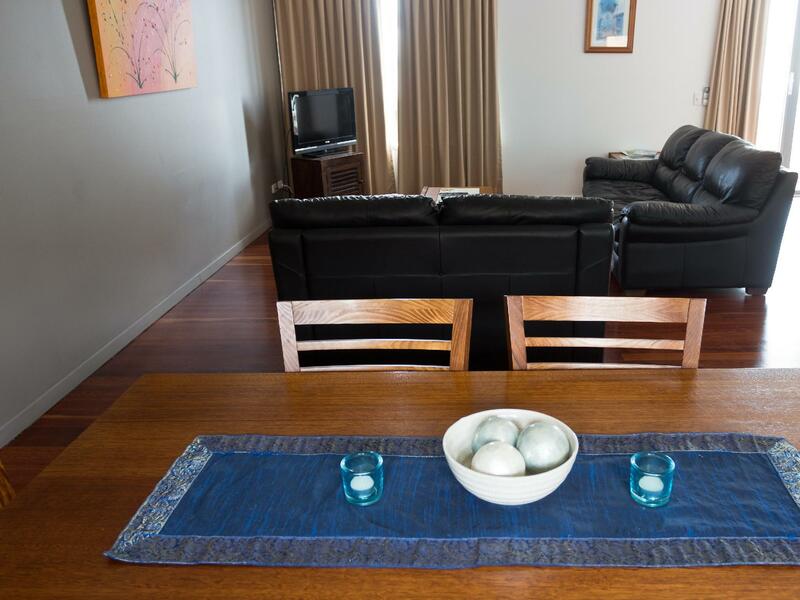 Close to everything, reasonably priced with excellent facilities. Highly reccomend. Spacious clean townhouse with everything you'd need. Lovely pool and hot tub. A stone's throw from the beach as well as lovely restaurants ehich have us a discount for staying at the resort. Splendid place to spend the weekend, the kids loved the pool and you can't get any closer to the beach! Great property within easy walking distance to the beach and shops/restaurants. We arrived for a late checkin and the instructions were easy to follow and the resort was easy to find. We stayed in townhouse no. 10 and it was on the first level so not many stairs and had 2 car parks which was fantastic when you are getting little ones out of car seats! The hospitality was excellent and we will definitely be back again soon. The kids loved the games room and pool/spa and the walk to the beach was easy for a family with little ones. The townhouse was clean and spacious. We had everything we needed in the kitchen (including cling wrap!). We really enjoyed our stay at Coolum Beach Resort. Great location and at the cheaper end of the market. On the positive, good sized rooms, well equipped and full kitchen, we even had an obstructed ocean view. Secure undercovered parking for your car because you won't need it you can walk to everything. Negatives. Advertised free WiFi, only available by charge, sand in the shower on arrival, very limited office hours. I like a firm matress but theirs was like a rock. Finally there are signs up in the room everywhere stipulating extra charges for everything, $50 for management callout, $33 if you don't take your own rubbish to the external bins, $10 per hour past 10am check out, $1 for every extra roll of toilet paper, 50c for soap and the list went on. Over all I got the impression management just wasn't very engaged and lacked customer service. Overall I guess its just a personal choice if the lower price tag is worth it. We were very disappointed as we were told that the room had beautiful ocean views and a generous balcony. Upon arrival we walked upstairs, opened the doors to the 'tiny' verandah, where you could sit comfortably with two people (this townhouse was booked for 5, therefore should accommodate that number). We were then greeted by the disgusting reek from skip bins, as we overlooked the commercial backyard of the neighboring property. This would have been our outlook, with a distant glimpse of the beach, to the left. Straight ahead gave us views of another building. We booked for an extra person, which we were charged $30 per night for. All in all we would not have been able to sit on that balcony enjoying ourselves, or leave the doors opened, as the smell was not bearable. We rang and asked if there was some alternate accommodation, but were told that they were booked out, except two rooms which would have the same outlook. The owner admitted that they had difficulty with the neighbours and had asked to have this looked into. When I asked if we could be given a partial refund, I was told this was not possible as we had booked through agoda. The following day agoda contacted the resort, and were also refused a refund. I would not recommend this resort to anyone, especially since for a fraction more, we were able to book 'beautiful spacious 3 bedroom/2bathroom (opposed to 2 bedroom/1bathroom) accommodation' with immediate ocean views from the 12th floor. We were very happy with the one bedroom unit we stayed in for a weekend. We were surprised by how large it was. It was comfortable and clean. Coolum Beach Resort is close to so many great places to eat that we didn't need to use our kitchen. It's about a two minute walk to the beach and Surf Club. Once you park your car, you don't need it. The resort appeared to be very well set up with a good pool area and spa. There was also an excellent BBQ area with large outdoor dining table. A word of warning if you have mobility issues. There are no lifts and the stairs are quite steep. Otherwise a great little place for a break away. The pool was lovely, very warm & protected from wind. Our unit was a great size but you had to HEAVE on the balcony door to open it. The dishwasher spat out dirty flakes & needed a 2nd cycle each time. The noise from traffic below was very, very loud. The floor was broken. Fold out bed was worn. room wasnt that flash. was moreso dissapointed with the cleanliness of the room than anything else. air conditioning air filter was packed so full of lint and dust that it looked like it was used in a vacuum cleaner, speaking of vacuum cleaners, that was in the bedroom wardrobe and it was full. the a/c unit itelf had some sort of yellow fluid coming thru the vent aswell. the fridge had a protective layer of dust on top of it. the balcony sliding door looked like it had been repaired recently but wasnt very secure when it was locked. the general upkeep and cleanliness of the room was rather poor. There was no airconditioner in the bedrooms and the living room airconditioner wasn't big enough to cool the area down there were no screens on the windows so they could not be opened. There were too many stairs for a person with bad knees, the stairs properly don't bother young people but they are not the only ones that like to take a holiday. Position- right next to beach shops and restaurants.Very quiet at night.Lovely pool and spa. Location to beach. Location to restaurants. Location to shopping. Would definitely stay here again. Spacious living room and great location on the Sunshine coast. The staff were incredibly friendly and it was so close to an excellent Italian restaurant. Shopping and breakfast spots were also just a short stroll. Good value for money and do close to the beach. Beautiful spot. very enjoyable, but as it is called a resort, i was expecting resort facilities eg hair dryer. i think it should be called the coolum beach appartments.